The Walther PPS M2 is a sub-compact handgun widely used for concealed carry purposes. both by civilians and law enforcement professionals. However, mounting certain accessories to a weapon greatly improves its effectiveness and performance under different situations. One such accessory is the sight. Aftermarket sights help with better acquisition of the target and improved accuracy in both day and night conditions. Here, we’ll learn about the benefits of mounting such advanced sights on a Walther PPS M2. We will also take a look at the aspects to be considered when choosing such a scope. Additionally, we have compiled a list of the best Walther PPS M2 sights on the market and have also included a brief installation guide and video towards the end of this article. So stay tuned if you are about to buy new sights for your PPS M2. Upgrading the sights on your PPS M2 has several astounding benefits. The very first of them is accuracy. Night sights (or laser sights) allow you to aim and shoot a target in extreme low light conditions. These are places where the normal iron sights of your handgun won’t work. Plus, it is a fact that most self-defense situations arise in dark places. Plus, you can shoot the target without revealing your position, which is a disadvantage of using flashlights for self-defense. Another advantage of such sights is quick target acquisition. Night sights have illuminated dots, which work as reference points, so you can quickly position your handgun on the right target. 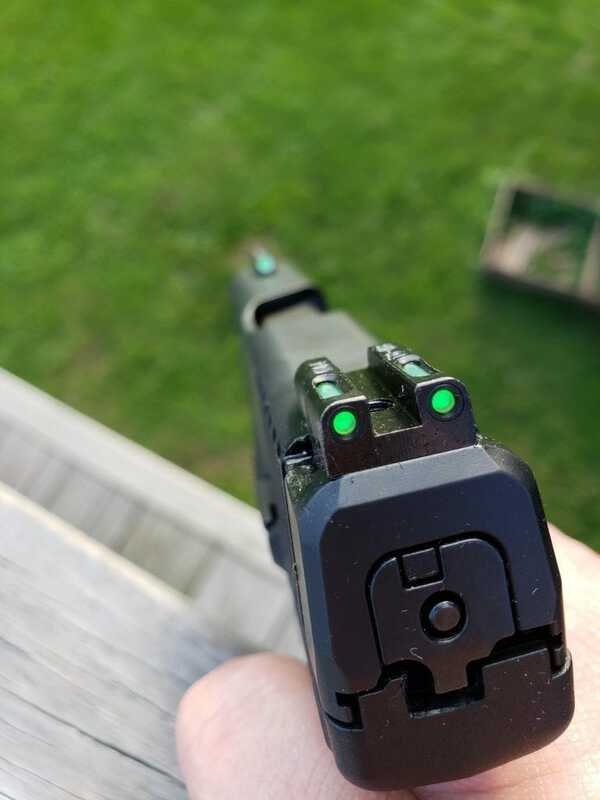 Additionally, night sights are not very expensive and do not run on batteries, so they are reliable in every situation, whether it be day or night. Such sights also do not take up extra space on your weapon. They just replace the original factory sights. Meaning that you don’t have to go looking out for a special kind of holster or appropriate concealment clothing for the weapon. Before you choose a sight for your PPS M2, there are certain important aspects that you must consider, since these will mean the difference between a good and a bad product, and eventually, failure or success in a critical situation. A good night sight must be durable enough to withstand the recoil of the weapon, movement of the slide, holstering, cleaning, and every other pressure the gun is subject to. The sights should be properly coated and finished and have high-quality components (tritium vials or optic fiber) to withstand the test of time. A good sight must have appropriate brightness to let you use and aim easily. Tritium sights are among the brightest ones on the market. But the quality depends upon the manufacturer. An ideal sight for the PPS M2 must be low profile and compact, so it complements the size and concealability of the weapon. Too high sights can interfere with holstering and using the weapon, so always go for ones with a low profile. Additionally, the dots should not be vaguely sized to clutter the sight picture. For example, big dot sights are good for short to mid-range shooting, but they become irrelevant for longer distances. All the sights reviewed here provide quick and optimal target acquisition. Finding the right set of sights for your Walther PPS M2 can be a real pain. Especially when the market is crowded with a ton of different options. So we decided to scour the market and find the five best sights for the Walther PPS M2 which also adheres to all of the above-mentioned aspects. The first and best night sight for Walther PPS M2 is from Trijicon, a company renowned for making sighting apparatus. 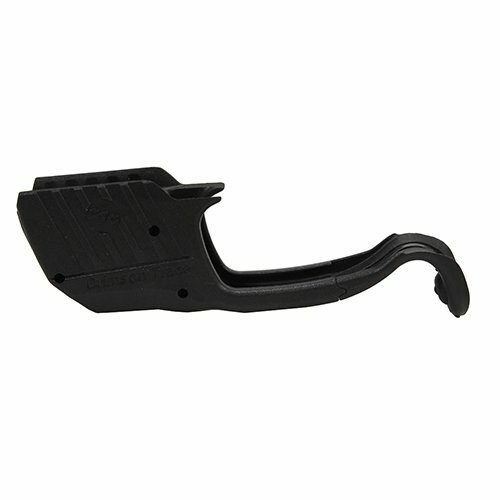 This night sight set is a combination of a front sight and a rear sight. 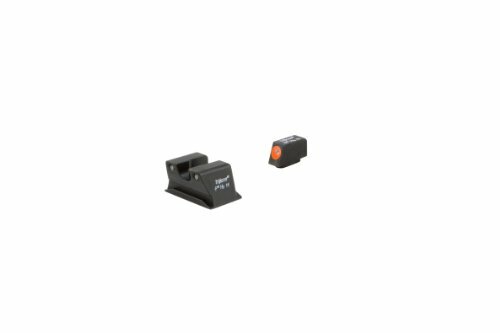 The high-visibility colored front sight post offers easy and quick target acquisition and the subdued rear sight ensures that the sight picture is clear and crisp. The black painted rings enhance focus on the front sight which lets you aim clearly avoiding the backdrop. The front sight has a tritium filled glass vial, which will work for 12 years. The brightness, however, will diminish with time. But that’s not a problem to consider before for at least seven to eight years. The angled and serrated surface of the rear sight reduces glare, and the U-notch sight is just perfect for aiming. The sight is easy to install and can be interchanged among all PPS and PPX models. 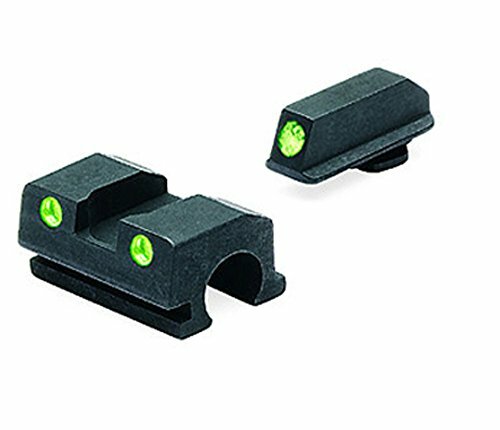 The Trijicon HD night sets are a durable and bright set of night sights for your PPS M2. This product is worth its premium price and the orange color provides even better visibility. 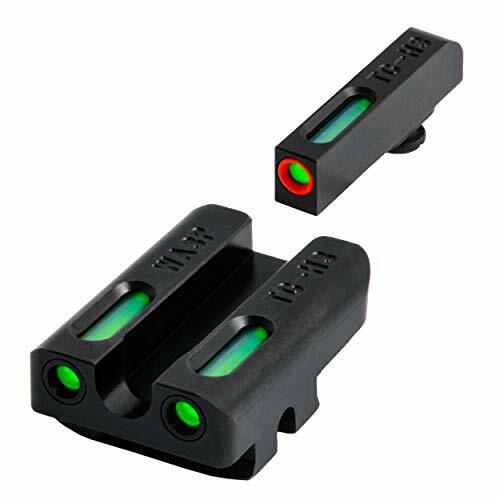 The TFX Pro Sight from Truglo is an impeccable combination of tritium and fiber optics. The package features a combination of front and rear sights which contain vials of tritium, encapsulated in a durable metal housing, which makes these sights quite durable and long lasting. Tritium is a long-lasting element, which does not require any external light source to get illuminated. The sights are bright enough to be used in both day and night conditions. The front sight features an orange colored ring, which helps with quick acquisition of the target. The green colored vials are easily visible under any situation or condition. The U-notched rear sight is also angled, which helps with the single-handed operation of the slide, which is a good feature to support you in high-stress situations. The sealed chambers keep all contaminants out of the tritium inserts and are also helpful with cleaning and maintenance. These sights are a combination of tritium and fiber optics with contrasting dots which provide quick target acquisition. The vials are encapsulated and hence, safe. However, the sight requires installation by a gunsmith or through the use of dedicated tools. These sights from XS Sight Systems feature a not-so-common sighting setup. The rear sight features a flat V-shaped design rather than the common U-shaped notch found in most sights. The rear has a tritium lamp running vertically on the center. The front sight has a large single white dot encircling the tritium insert. The front and rear sights align to create an “i” for aiming at your target. The express rear sight prevents the obstruction of the front sight while you move and shoot, which is a good feature for self-defense situations. The white dot provides good visibility under all lighting conditions. However, it is still not very good against a very white background, like snow. The sight doesn’t require a dedicated sight pusher tool for installation, which saves you time and money. The blued steel construction is impervious to tampering and shocks. Plus, the sight has a decently low profile so it doesn’t snag onto your clothing or holster. These sights also work with a majority of holsters available on the market. The package includes a front sight tool, nylon punch, and a thread locker, so you can complete the installation yourself. The manual with detailed instructions is also helpful. The XS sights have a new kind of sighting system, which is quite good for self-defense and combat situations. The sights are easy to install and use, but aren’t very good for people with a weak pair of eyes without glasses. Meprolight is a familiar name for people who have used night sights before. 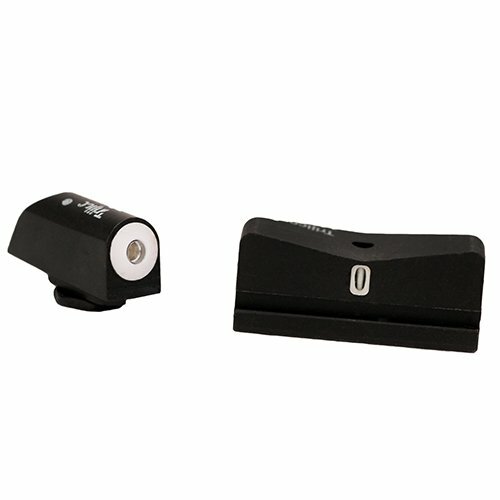 This night sight set from Meprolight is a combination of a front and night sight, both of which have tritium inserts to allow easy sighting in low light situations. Meprolight sights are widely known to be used by military and law enforcement agencies, so there’s no question about their quality. These sights are absolutely maintenance free. Plus, tritium has a long self-illumination lifespan of around 12 years, so you need not worry about replacing them for quite some time. The rear sight is angled to help with single-handed operation during emergency situations. The sights are quite easy to install with the right tools. These sights are also bright enough to be seen in low light conditions for people with normal or old pair of eyes. The sights are covered by a 12-year usable warranty to the original purchaser, which covers your back in case of a malfunction. The Meprolight sights are the brightest tritium insert sights out there on the market. They are covered by a 12-year warranty and fit very well with the PPQ M2. However, some users do complain about quality control. But it's not a general issue. The Crimson Trace LG-482 is a somewhat out-of-the-league product in this list. This is a trigger guard laser sight to be mounted on your Walther PPS M2. The sight features a 620-670 NM Class 3R visible red laser, which the most powerful laser light level allowed by law. The laser sight allows you to easily sight and hit targets accurately under extremely dark conditions, without the need for using sights. Laser sights are useful for people who are not very good with accuracy or get extremely freaked out in stressful situations. A laser gives you a point of impact over your target, so you don’t have to align the sights and create a sight picture first. The instinctive on/off button placed on these sights activates when you hold the weapon in a normal firing grip. The laser sight has four hours of battery life, which is comparatively higher than most other laser sights available on the market. Other than that, the laser is covered by a three-year manufacturer’s warranty and the product is also eligible for Crimson Trace’s free battery for life program. The laser sight is also available in a variant which includes an IWB holster. Laser sights are effective for people with less shooting experience. This sight has a powerful laser and long battery life. Plus, it is easy to use. It is a good accessory for your PPQ M2, but you have to stay aware of the battery’s power levels. Installing a sight on a Walther PPS M2 is extremely easy. All you need is an Allen key, a brass punch, a thread locking compound (like Loctite), a hammer, gun scrubber liquid, and some Q-tips. You can also use a sight pusher tool instead of the punch and hammer if you have one. Now, first of all, ensure that your handgun is safe to be disassembled. Then remove the slide, and take out the guide rod and spring and keep them aside. Remember that installing new sights on your PPS M2, is also a good chance to clean your weapon. Next, flip the slide upside down and use a screwdriver to remove the screw holding the front sight in place., thus removing the front sight. Apply some gun cleaning liquid and clean the spot. Now, take the new front sight and apply some thread locking liquid to it and reinsert the screw. Then flip the slide and install the front sight, and reverse it again to insert the locking screw and tightening it. For this guide, we’ll be using the punch and hammer for the rear sight. Tighten the slide on a vise and thump the rear sight sideways using the punch and hammer. Use a non-marring punch like brass or polymer. Next, clean the spot with the scrubbing liquid and apply some thread locking fluid. Once done, push in the new rear sight, using the punch and hammer and center it on the slide. That’s all, and you’re good to go. For detailed visual instructions on the step by step process of installing sights on your PPS M2. You can refer to this video. 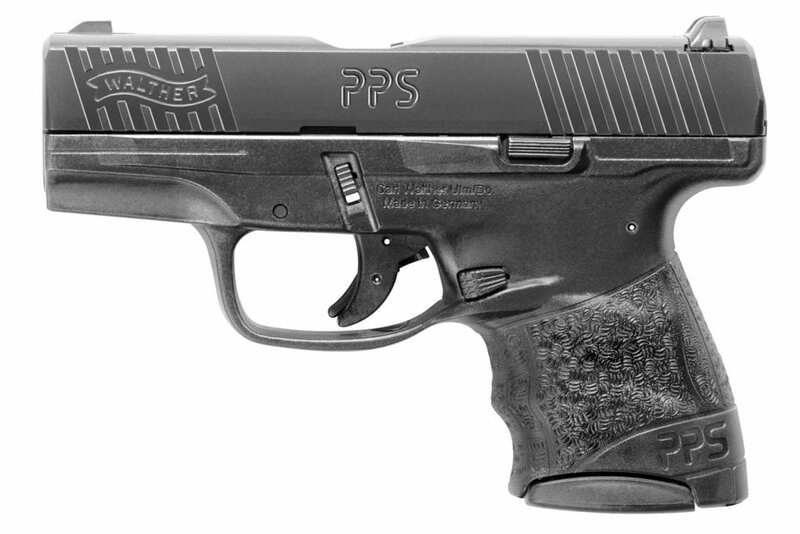 The Walther PPS M2 is a sub-compact concealed carry weapon widely used for CCW and EDC. Adding a good pair of sights to this weapon greatly improves its performance, especially under low light conditions. A good sight for the PPS M2 must be durable, bright, low profile, and must deliver quick target acquisition.